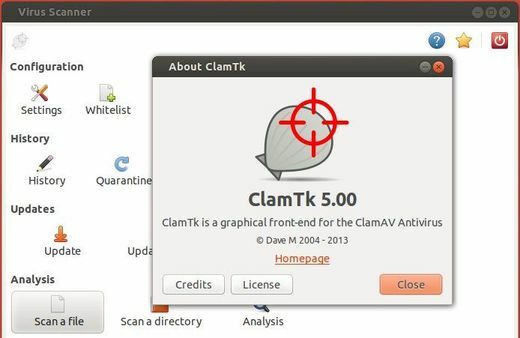 The GUI front-end for ClamAV virus scanner, ClamTk 5.00 has been released today with right-click file manager support. Here are the new features and how to install it in Ubuntu 13.10, 13.04, 12.04, Linux Mint. Updated language files: German (de), Bulgarian (bg), Galician (gl), Ukrainian (uk), Russian (ru), English (en_UK), Malay (ms), Hebrew (he), Italian (it), Dutch (nl), Asturian (ast), Uzbek (uz), Chinese (zh_TW), Finnish (fi), Spanish (es), Croatian (hr), Marathi (mr), Chinese (zh_CN), Slovak (sk), Indonesian (id), Latvian (lv), Azerbaijani (az). For Fedora, CentOS and source code, download it from google code. 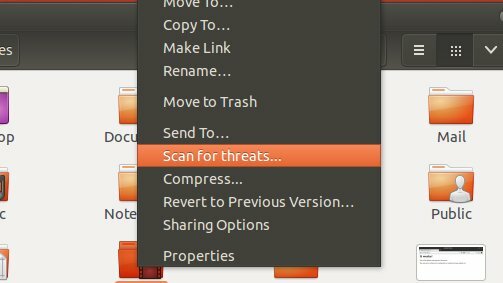 Thanks so much for this, I love Ubuntu and Linux in general, I’ve been using it for several years.